Queensland is filled with beaches, the Great Barrier Reef and all it’s amazing islands. Find out abit more about lifestyle. Because of its size, there is significant variation in climate across Queensland. Low rainfall and hot summers are typical for the inland and west; there is a monsoon style ‘wet’ season in the far north, and warm, temperate conditions along the coastal strip. Upland areas in the south-east inland can experience temperatures well below freezing in mid-winter. The weather on the coastal strip is influenced by warm ocean waters, keeping the region free from extremes of temperature and providing moisture for rainfall. Queensland provides free secular public education in state schools, with compulsory attendance between ages 6 and 15. Non-compulsory pre schooling is also offered by the state for children ages 4 to 5. About one third of children attend private schools, mainly operated by the Roman Catholic and other churches. 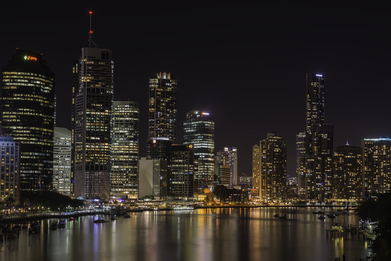 More than four-fifths of Queenslanders live in cities or urban areas concentrated along the coastal strip; nearly half reside in Brisbane, compared with the national average of two-thirds of Australians living in the capital cities of the states. Only a small fraction of the state’s geographic area, the southeast of Queensland has more than three-fifths of the population.